Can you believe we're ONE YEAR OLD?! March 3, 2017 we launched Now What Theatre, officially. We took a big risk on our artist dreams, finally letting the world know we were taking our little show on the road across America, Canada, and the UK! 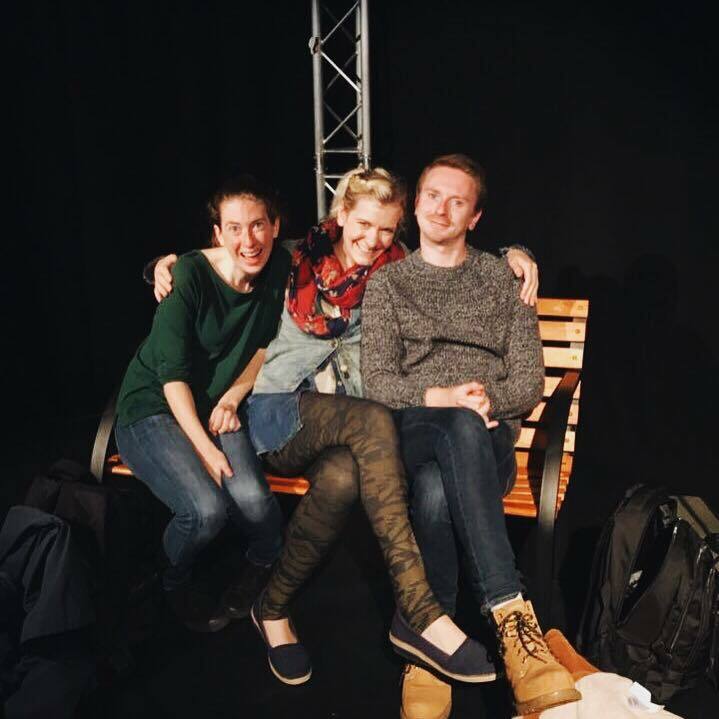 August 2016, at the Edinburgh Fringe, is where everything began - where the idea of making this company first start bubbling. Could we actually do this? It turns out we could, and I think we're still pinching ourselves. Thank you for following along with us this past year, we've loved sharing our journey with each and every one of you! We've done it! Week one is COMPLETE! 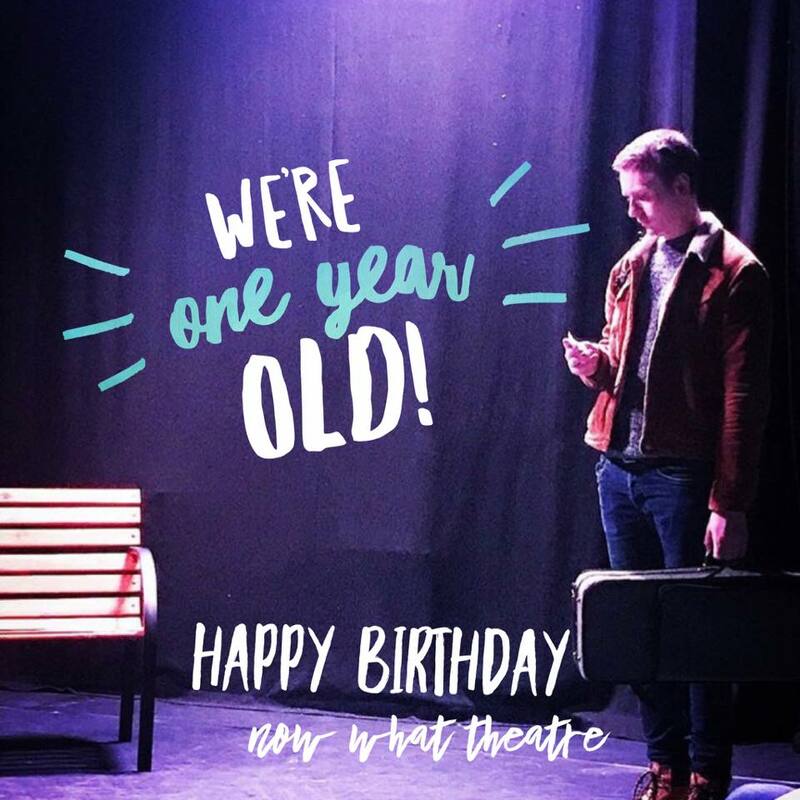 Our time in Edinburgh is already flying by so quickly and we're immensely grateful to everyone who has made their way to Greenside Venues to see our little play! The feedback has been overwhelming and we couldn't be more proud! Ever wonder how we get those posters so high? Royal Mile acrobatics from our actors - Tierney & William! If you've seen the show, make sure you SPREAD THE WORD! That's the best way to build momentum and make sure you leave us a review on the EdFringe Website; we'd really love to hear from you! The team is enjoying a much deserved day off (HAPPY SUNDAY) before heading into WEEK TWO of the festival! That means many cups of tea, lots of football watching, and maybe even a cheeky brunch! We'll be back on the Royal Mile tomorrow, and if you haven't already make sure you book your tickets for KARA SEVDA! We perform EVERY DAY (bar Sundays) at 10PM! Edinburgh Fringe Festival - Welcomes Kara Sevda! We've arrived! The festival has begun and the team has one preview under their belt! We couldn't be more excited to finally be here at the Edinburgh Fringe - the biggest fringe festival in the world. For all of us, it feels like returning home. This is where Kara Sevda got its start, where our company was built, and where everyone in the Now What cohort met. Returning to Scotland is such a treat and we're honoured to be here. Kara Sevda has performed in our first preview but we've still got THREE WEEKS left of shows! Make sure you add us to your fringe schedule and book your tickets soon (here)! TONIGHT, our final preview - tickets are only £7! And if you book for MONDAY (Aug 7) or TUESDAY (Aug 8) you'll get the fabulous TWO FOR ONE deal! We perform MONDAY thru SATURDAY at 10PM in Mint Studio at Greenside Venues (right off Infirmary Street) - we can't wait to see you there! Kara Sevda in Northern Ireland! We're excited to finally announce we'll be adding ONE MORE STOP to the Kara Sevda Tour! We're performing for a special, one-night only event in Bangor, Northern Ireland Monday, July 31st; doors/bar open at 7:30pm and performance begins at 8pm! Are you in N. Ireland? Would you like to see a little preview of the show before we head off to Edinburgh for the month of August? Snag your tickets NOW for only £5 to see us perform at Pickie Bowling Club! We can't wait to see you there & we're beyond excited to add another country to our international tour! And thus ends our FINAL U.S. festival! Thank you to the entire Capital Fringe community! We have had an extraordinary experience here and we couldn't be more grateful to everyone who came out to support the show. Our audiences have been so generous, thank you for your kind words and much love to all the new #fringeships we've made! Now the team will have a few days off before heading to the United Kingdom to start the next (and biggest) Festival of the tour! 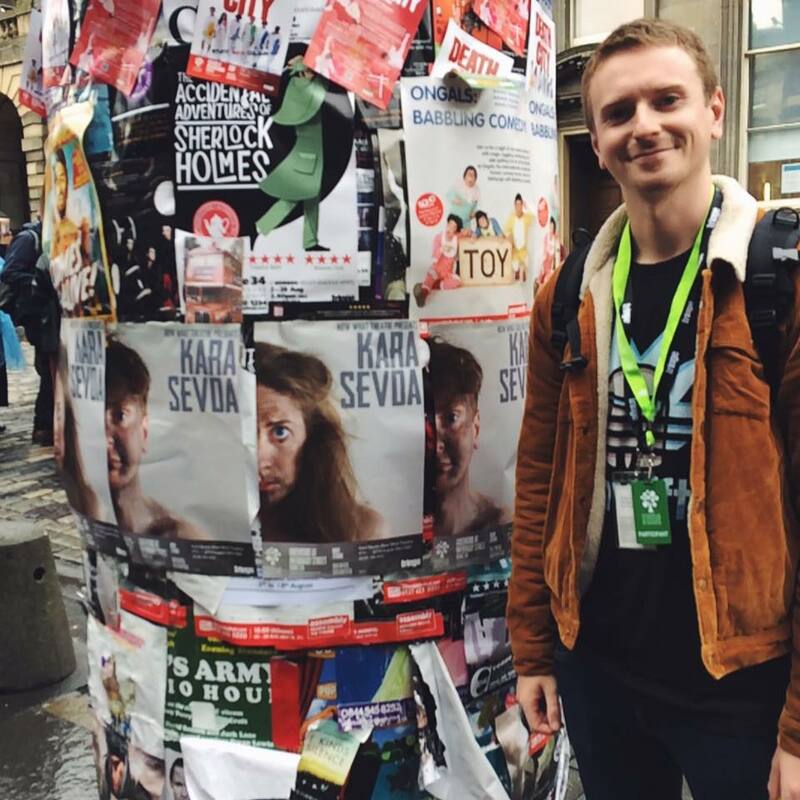 If you're coming to the Edinburgh Fringe Festival, make sure you add KARA SEVDA to your schedule. We perform every night at Greenside Venue from August 4th - August 26th at 10PM (sans Sundays) - book your tickets now! Don't forget to get in contact with us via all our social media, we love hearing from our audience! We'll see you all in Edinburgh in a few weeks - HAPPY 70th BIRTHDAY EDFRINGE! Rave Review from Toronto Fringe! We're beaming with pride to present our first Toronto Fringe RAVE REVIEW from Mooney On Theatre which calls Kara Sevda, "a moving and complex work that deserves to be seen." Out of 160 shows at the festival, only 25 earned a RAVE - and we're one of them! We can also be seen featured on their Toronto Fringe Staff Pick recommended list! Congratulations to the entire Toronto team for such a successful run in Canada! PortFringe Award & Canada Bound! We're extremely pleased to announce that Kara Sevda has earned an award at the PortFringe festival in Maine - a Critics Choice "PortFringe Pulitzer" for Excellence in Writing! We had a fabulous time in Maine performing at PortFringe this summer. We feel so lucky to have experienced yet another supportive and talented community of artists and audience members. As our touring team takes a wee break before heading down to Washington DC for the Capital Fringe Festival, we turn our attention now to our Toronto Fringe Festival team! Actors Kat Haan & Ross Somerville perform in an Invited Dress in NYC! Kara Sevda will be performing at the St. Vladimir Theatre in Toronto next week! Make sure you book tickets as soon as possible to catch this gorgeous play in it's Canada Premiere! Kara Sevda in Toronto is directed by Liz Thaler, stage managed by Ashley Groves and will be performed by Kat Haan & Ross Somerville! Want to learn more about these spectacular artists? Check out our Artists Page for more information!